A tasty tradition 42 years strong, the Sonoma County Harvest Fair is back this weekend for three days of food, wine, beer and family fun. The highlight of this year's fair is the Wine Country Marketplace, a one-stop shopping experience where you can browse, sample, buy and take home the best local wines and food while enjoying chef demonstrations from cheese master Sheana Davis, John Ash & Co. executive chef Thomas Schmidt and pastry chef Doug Cavaliere of Costeaux French Bakery in Healdsburg. 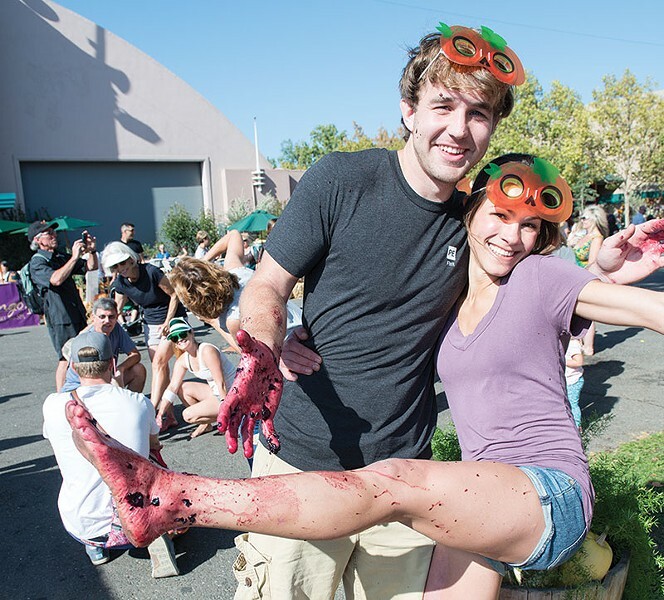 Another favorite of the fair is the annual World Championship Grape Stomp. A grand prize of $1,500 will get the competitive juices flowing. Sign up with a friend, decide who's going to be the stomper and who's going to be the swabby, and make sure you dress up in a colorful costume for creative flair. There's even a kids round for stompers under 13. Wine and food seminars, live music, a classic car show, a rotten apple catapult, an art show and sale and a harvest pumpkin patch are all part of the fair. Celebrate harvest season Sonoma County–style Friday, Sept. 30, through Sunday, Oct. 2, at the Sonoma County Fairgrounds, 1350 Bennett Valley Road, Santa Rosa. Friday, 4–9pm; Saturday–Sunday, 11am–5pm. $5 gate admission; some events cost extra. 707.545.4200.